British designer Thomas Heatherwick on his new project in India and why design is not about toeing the brief. In July last year, 204 countries from around the world converged in London for the Olympic Games. Each team received a s hining copper petal with the name of their country embossed on it. They were laid out during the opening ceremony, connected to stainless steel stems, 28 feet high. As these petals were lit, they rose to form a kinetic bowl-like sculpture that people would recall as the Olympic cauldron. The multi-armed, gas-fuelled flames at the centre of the stadium were a symbol of togetherness. London-based Thomas Heatherwick had been told by the organising committee to design a cauldron with no moving parts. 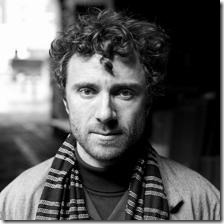 But then this was Heatherwick, for whom "design is an act of misbehaving." The Royal College of Art graduate set up his studio more than 18 years ago when he got his first commission through Sir Terence Conran, founder, Design Museum London. The 43-year-old designer, who was in Mumbai last month for the India Design Forum, has been involved with high-profile projects such as the Seed Cathedral at the UK Pavillion for the World Expo in Shanghai, 2010 and the renovation of the double-decker buses in London. His new project is in India — Heatherwick has been invited to design an aviary for the Doongerwadi Tower of Silence in Malabar Hills, Mumbai. In keeping with the Parsi tradition of leaving the dead to be devoured by vultures, the 350-year-old site needs to nurture the vanishing vulture population. Since towering residential complexes have mushroomed in the area, Heatherwick has to ensure that the aviary and the stone towers or dakhmas, where the bodies are disposed, enjoy seclusion and privacy, creating a balance between tradition and modernity. Heatherwick wants to keep the relationship between the body, sky and sun integral to the design, in accordance with the Zoroastrian faith. His plan is to build a massive aviary open to the sky, giving the dead a "sky burial". The dakhmas will be netted, thanks to high masts strung together by cables. These 30-feet high nets will allow vultures, with their large wings to travel in and out of the aviary with ease. The wide nets will let in sunlight to reach deep into the towers, while forming a base for creepers to grow on them. Mumbai-based architect Jimmy Mistry, who is working with Heatherwick on the project, says, "Thomas is restoring the entire complex, from pathways and resting places to driveways. His sensitivity and out-of-the-box solutions are the reasons we chose him as the master designer for this project." The cables form a geometric shape in keeping with the energy of the three towers that currently stand on the site and Heatherwick hopes to give it an organic shape of its own. "This is a part of the city that is unloved and uncared for, even if it’s huge on historic value. The Parsi community has dared to have a vision, and it’s up to the city officials to take this forward. The community too needs to trust people," says Heatherwick. His earlier Seed Cathedral project was a tease in texture. The site was that of a football pitch but the budget was limited. With his team at the Heatherwick Studio, they explored several ideas — could they create a building that would integrate with the sky and the landscape? Could the building be soft? Their search ended at the Millennium Seed Bank, a seed conservation project headed by the Royal Botanic Gardens, Kew. The surface of the Seed Cathedral had silvery hair made of 60,000 identical acrylic strands that extended into the air. Inside the pavilion, 2,50,000 seeds were set into the crystal clear tips of each strand, which would dance and tingle with the slightest breeze or a bird flight. The 15×10 m high building that stood on less than one-fifth of the site, could be seen even by those who didn’t enter the pavilion. But for the eight million who did, it was the country’s largest tourist attraction outside the UK. It was a project intended to "burn itself into people’s retina," he says, much like the London Routemaster project. The iconic red double-decker buses on London streets hadn’t seen a design change for over five decades. Heatherwick gave the new bus three doors and two staircases to allow ease of traffic within. He rounded the edges, created ribbon windows and kept materials and colours simple. Currently, only 12 of these hybrid buses ply on the streets, but by 2016, over 600 will. "This is a mobile two-storied architecture of London that is seeing a change," says the designer. That the brief for this included designing the bus in such a way that the driver didn’t accidentally get killed by a sword, had to bring in a few radical changes, after all.